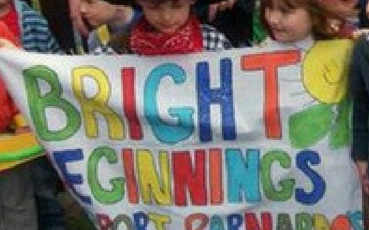 Bright Beginnings Nursery Falkirk offers a wide range of nursery activities and extras to enrich every child’s experience at nursery and to support busy parents. 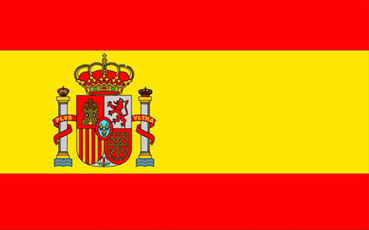 Our children are given the opportunity to explore another language through weekly Spanish lessons which are included in our nursery fees. Our Spanish teacher educates our children through engaging activities and songs. 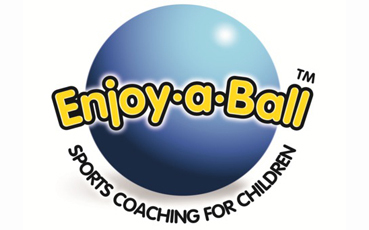 Every Wednesday our nursery runs the Enjoy-a-Ball program, which develops sports-specific skills and confidence across numerous ball sports in a positive and fun environment. 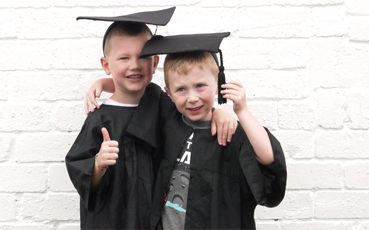 At Bright Beginnings Falkirk we have a fantastic Early Years Teacher who primarily works with our pre-school children and their key workers to ensure they are being provided with stimulating and essential experiences to prepare for school. 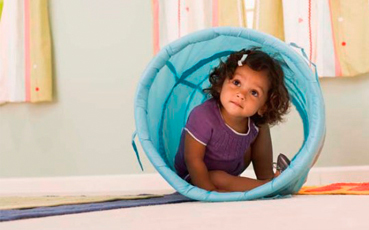 Our Teacher is always available if you would like to discuss anything regarding your child’s development. 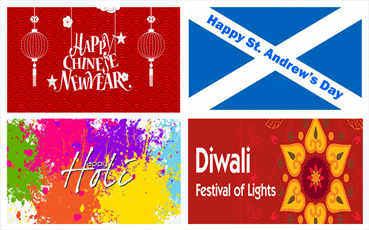 Our nursery encourages children to celebrate festivals throughout the year. 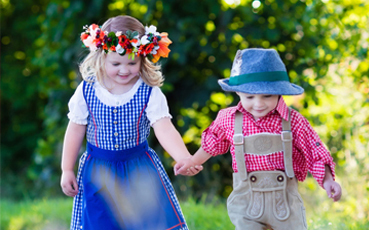 This is one of the best ways for children to learn about different religions and cultures by celebrating various world religious festivals, food tasting from different countries, and dressing up in the national dress of their friends. 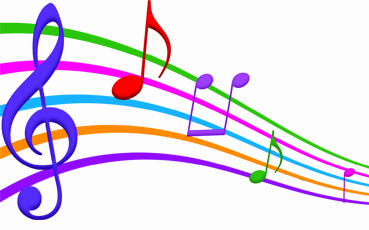 Our Nursery offers music classes on Tuesdays in our preschool room. We aim to support our children in exploring and developing a love for music. Music lessons with skilled music teachers can increase children's confidence and furnish them with a life interest and creativity. 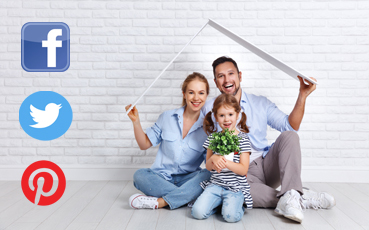 In recognition that education begins in the home, we are fully committed to a partnership approach with parents. Parents are kept up to date with monthly newsletters, parent focus groups and parent’s evenings twice a year. Parents are also able to keep up to date with activities going on in the nursery by following our social media accounts; Falkirk Facebook, Bertram Group Instagram and Bertram Group Twitter. 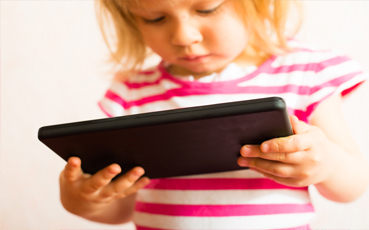 E-Learning Journals allow you to see your child’s activities at nursery with the click of a button. Our staff team regularly update your child's account with their activities so that you can log in, see what your little one is up to, and even send us feedback. Our Interactive Smart Boards offer exciting and stimulating learning experiences tailored to challenge and engage little ones. 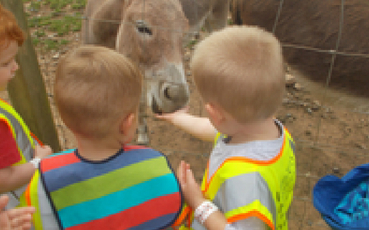 Each year we organise a summer outing for children in our Rainbow Room (3-5 years). Recent trips have included Blair Drummond Safari Park, Heads of Ayr Farm, and Briarlands Farm. We love our regular adventures through local woodland walks. During these walks we encourage children and staff to make risk assessments and experience risky play. 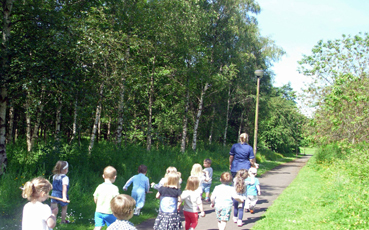 Our nursery enjoys great ties with our local community and we are often out and about visiting our local library, parks and shops. We love taking care of our nursery Fish and African Snails! Our children are involved in naming our animals and caring for them. We have found this provides children with a great sense of responsibility and teaches them how to care for others, as well as developing empathy and social skills. Taking part in fundraising activities helps children to learn about others that are less fortunate than themselves and understand how we can help them. 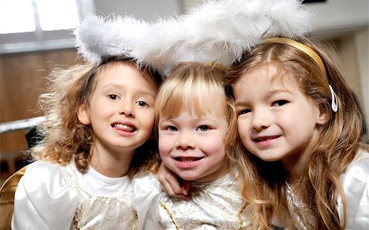 Fundraising events are good fun and are a great way to get children, families and communities together. We are currently fundraising for CHAS. 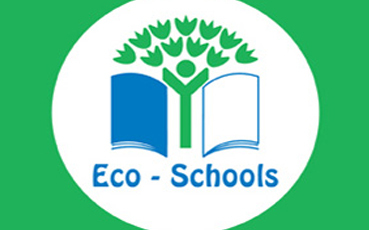 Eco Schools is the largest sustainable schools programme in the world and is designed to encourage action on sustainable development education issues. We love getting involved in Eco Schools projects and learning about how to protect the environment.